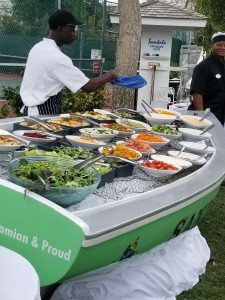 How does Sandals handle food allergies for its guests? How does Sandals handle food allergies? We attended the Gluten Free and Allergy Free Event in Charlotte with many other wonderful vendors whose sole focus is food allergies. Companies like Norm’s Farms, JP’s Pastry, Whole Foods, Southern Olive and many more were all there. All these companies are making a difference for us! They are providing alternatives to the dangerous foods out there that can harm us. It is nice to be part of a movement that is looking out for our well being in the kitchen! Well it is not just in the kitchen where change is happening. Take Allergic Traveler for instance, we are making changes in the travel industry and restaurant industry. 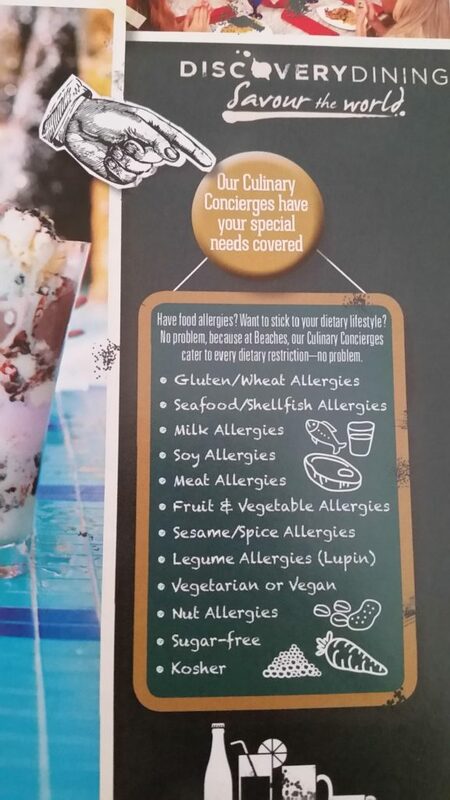 Businesses are becoming accustomed to receiving a food allergy alert card or a chef card. The reception from the dining industry is always positive and appreciative. Imagine! They are thanking you for bringing awareness to your allergy. It really is a great feeling. Another company making a difference in the food allergy world is Sandals Beaches Resorts. Pamela DuVal with Promised Hearts and Sandals Beaches Resorts was exhibiting at the event in Charlotte as well. Aside from being their representative, she also has Celiac and a dairy intolerance. She is quite familiar with the severity of allergies but also enjoys traveling. 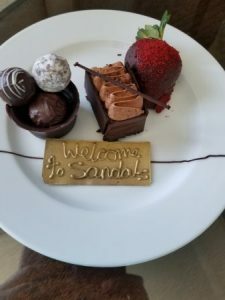 I had a chance to sit down with her and ask her some questions about how does Sandals Beaches Resorts handle food allergies? Take a peak! Allergic Traveler (Tarah Jakubiak) – Thanks for taking the time to speak to us. I know a lot of our readers are nervous about traveling. They know that I travel a lot, but I wanted them to hear from the industry directly. So, can you tell us, what are your dietary restrictions? How long have you had them? Sandals and Beaches Resorts (Pam DuVal) – I have Celiac, for about 10 years now. I discovered it myself when I could not get any help from local doctors, by eliminating certain foods from my diet. Lately I have become lactose intolerant as well. AT – Have you ever traveled prior to Sandals? If so, how did it go? SBR -Yes, I have traveled to New Orleans and Las Vegas. In Las Vegas, the chef said I could eat everything on the salad bar. It included pasta. He was not very well educated with regards to the gluten free diet. Except for while at Sandals & Beaches, I only eat what I know to be safe. I don’t feel I can trust some of the chefs to understand. I always carry Glutenese or Gluten Cutter when I travel. It helps. Can you go to Sandals if you have food allergies? AT -Does Sandals & Beaches accommodate all food allergies? SBR – Yes! AT – What precautions do you take for these allergic travelers? SBR – First step is to make note on the reservation of the allergies and as the Travel Agent we can email the staff at the resort before our guest arrives to alert the team of the allergy/intolerance. Next, the guest can visit the culinary concierge upon check in at the resort. 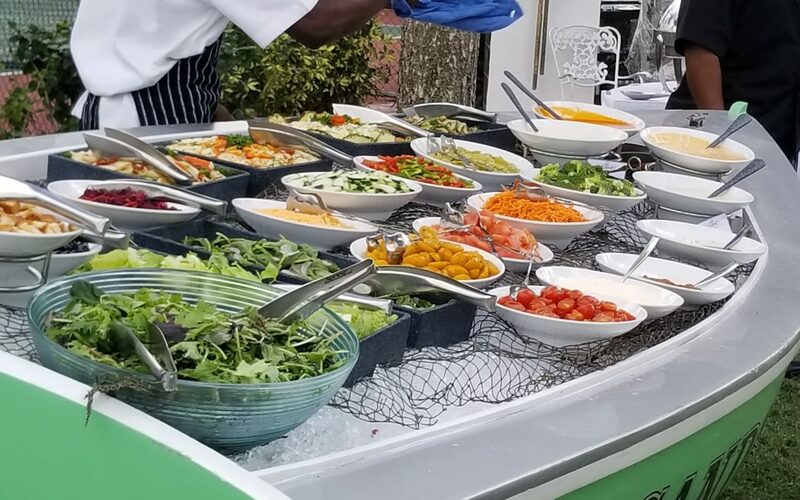 Our guests can meet with the chefs on property to speak with them about dietary needs/restrictions and feel comfortable about trying new cuisines while on property. The chefs will assist in also helping create menus at each restaurant that do not include those trigger foods. In addition, the waitstaff in each restaurant will greet the table, introduce themselves and ask if there are any allergies at the table before even taking drink orders. AT – What are some benefits to your properties? SBR – All inclusive, eat all you want, anytime! AT – Is this realistic? I am sure there is limitations based on their restrictions. So how much food is available to someone that is allergic to milk or peanuts for instance? SBR – Yes this is realistic! A specific example is Melissa O’Hara’s, our area manager’s own mother who just visited the three resorts in St. Lucia. She is severely allergic to shellfish and was able to enjoy Soy, the sushi restaurant three of the nights they were there. The restaurant sushi chefs made sure to prepare her non-shellfish options and explained in depth each ingredient to ensure no cross-contamination. 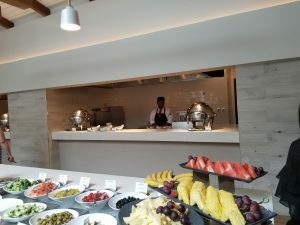 Gluten Free Menus at Sandals? AT – Are there gluten free menus at the restaurants? If not, how many items on the menu are GF or allergy friendly? SBR – The menus denote the GF options up front and the culinary concierge can also revise some menu options to accommodate intolerances. AT – Out of the chain or hotels, is there one resort you would recommend over another? If so, which one and why? SBR- Not really. I love them all! Of course, some may appeal more than others. Some are busy with lots of nightlife while some are quieter. AT – What are some obstacles to the properties? SBR – You will need a passport and some of the resorts are a long drive from the airport. One of my favorites has 16 restaurants and it is 90 min from the airport. I don’t mind, but some might. They have the best gluten free pizza! AT- What type of medical treatment is available to your travelers? SBR – Each resort has a nurse’s station or medical pavilion on site. AT- Can travelers contact the chef or hotel beforehand? SBR – Yes! I can provide all the names and their contact information. AT –Wonderful. Thank you for speaking with us! This has been very helpful. This is all very encouraging for those of us with dietary restrictions. 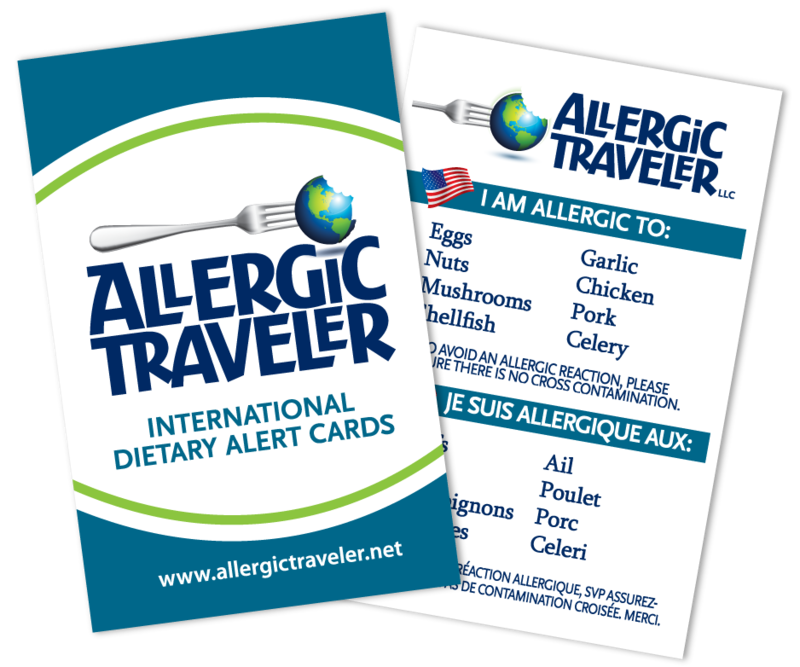 Of course, we always recommend that you travel with your Allergic Traveler card to use at the airport and at restaurants outside of the Sandals Beaches and Resorts’ properties. So, what do you think? Are you more motivated to an all-inclusive? Should we organize a group trip and go together? Let us know your thoughts. We are eager to hear. Check out this video to give you more insight.